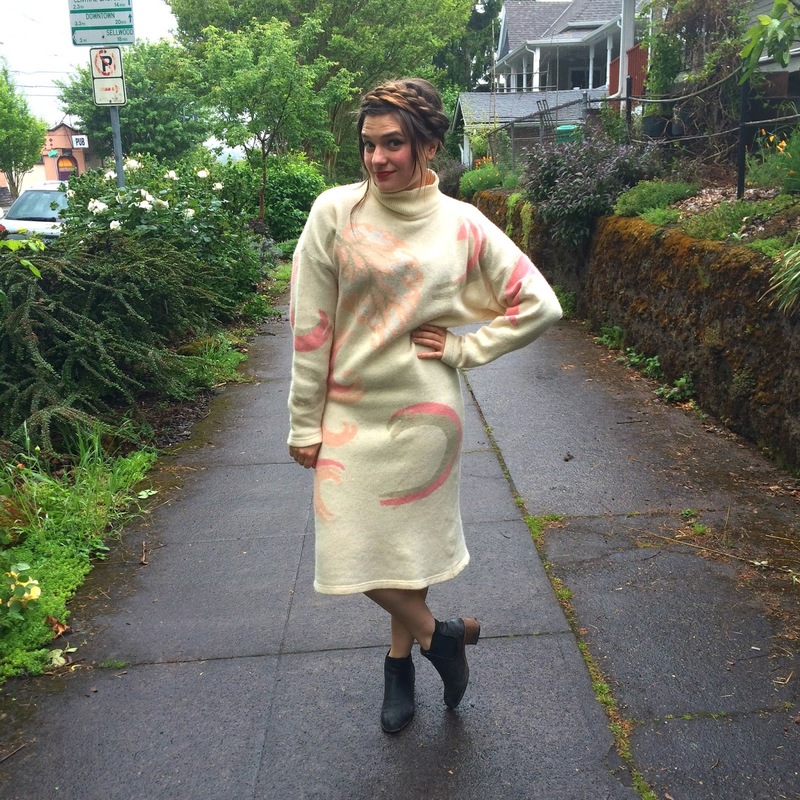 For the most part Portland has been experiencing an early, unusually warm spring, but there are still typical rainy days sprinkled here and there. 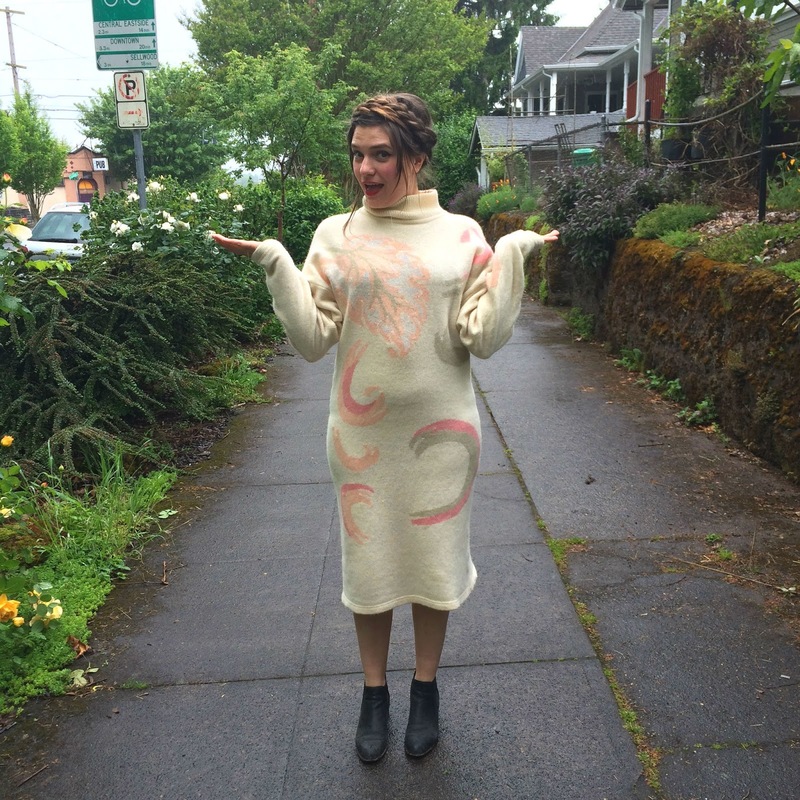 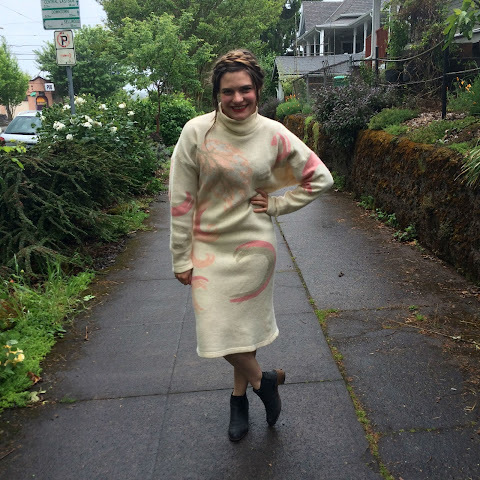 I took advantage of one such gloomy snap to debut this wacky sweater dress that I recently thrifted. 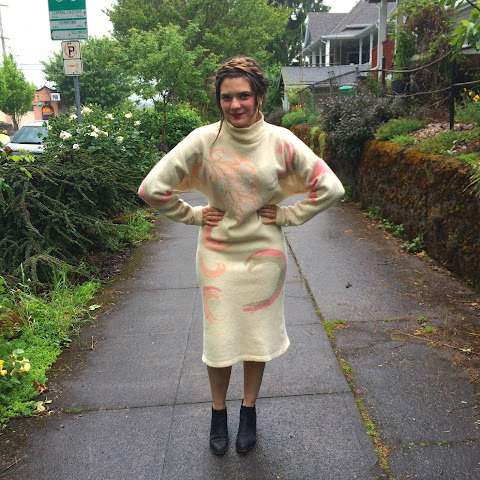 It's difficult to pinpoint how it made me feel, but I'll go with '80s art teacher. Just weird enough to work!